"What Are Marian Apparitions? Do We Have To Believe Them?" "What Are Marian Apparitions? Do We Have to Believe Them?" A Marian apparition is a supernatural appearance by the Blessed Virgin Mary. The apparition is often named after the town where it occurred or after the sobriquet given to Mary on the occasion of the apparition. 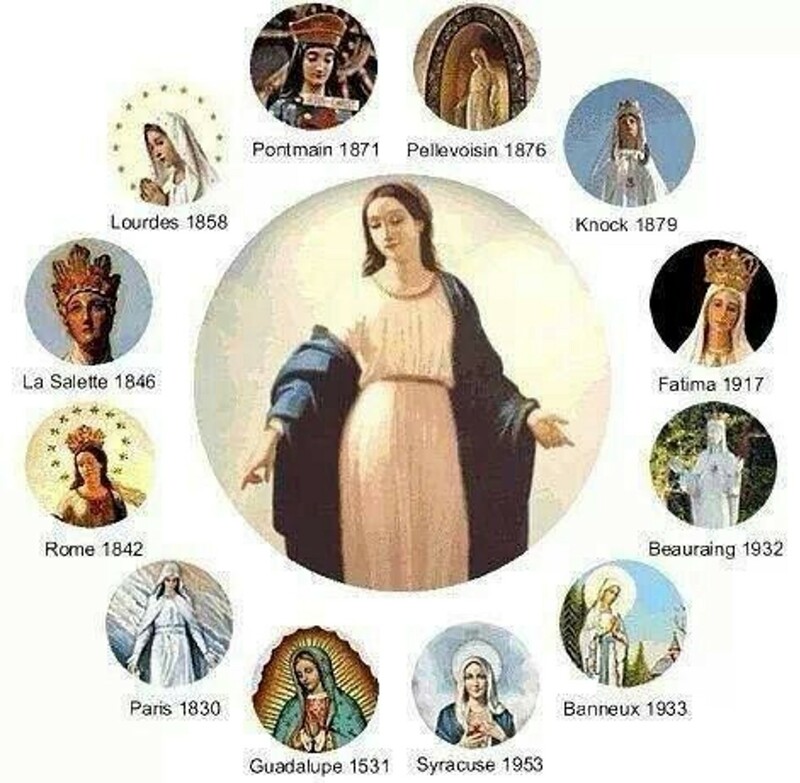 Marian apparitions sometimes are reported to recur at the same site over an extended period of time. In the majority of Marian apparitions, only one person or a few people report having witnessed the apparition. According to the doctrine of the Roman Catholic Church, the era of public revelation ended with the death of the last living Apostle. A Marian apparition, if deemed genuine by Church authority, is treated as a private revelation that may emphasize some facet of the received public revelation for a specific purpose, but it can never add anything new to the deposit of faith. The Church may pronounce an apparition as worthy of belief, but belief is never required by divine faith. In some apparitions, such as Our Lady of Lourdes or Our Lady of Fatima, an actual vision is reported, fully resembling that of a person being present. In some of these reports the viewers (at times children) do not initially report that they saw the Virgin Mary, but that they saw "a Lady" (often but not always dressed in white and/or blue) and had a conversation with her. In these cases, the viewers report experiences that resemble the visual and verbal interaction with a person present at the site of the apparition. Apparitions should be distinguished from interior locutions in which no visual contact is claimed. In some cases of reported interior locutions, a large amount of text is produced, but no visual contact is claimed. Interior locutions usually do not include an auditory component, but consist of inner voices. Interior locutions are generally not classified as apparitions. Physical contact is hardly ever reported as part of Marian apparitions. In rare cases a physical artifact is reported in apparitions. A well-known example is the image of Our Lady of Guadalupe which was miraculously imprinted on the cloak of St. Juan Diego. Not all claims of visitations are dealt with favorably by the Roman Catholic Church. For example, claimed apparitions of Our Lady at Bayside, New York, have not been condoned or sanctioned in any way, nor those at the Necedah Shrine in Necedah, Wisconsin.